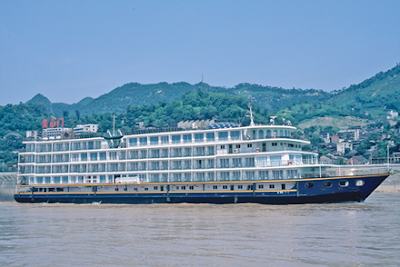 Victoria Cruises has decided to re-launch two of its vessels -- the Victoria Queen and Victoria Star -- as the Victoria Lianna and Victoria Selina, respectively. “Initially, our intention was to update the look and feel of these ships to bring them up to speed with our newest vessels, while preparing them for the fleet-wide introduction of our Executive Deck program,” said James Pi, chairman of Victoria Cruises, who named the ships after his grandchildren, Lianna and Selina Pi. Throughout the winter season, Victoria Cruises has invested millions to overhaul Victoria Lianna and Victoria Selina, as well as the Victoria Prince, which will retain its original name. All three vessels will feature renovated lobbies and hallways as well as new carpeting throughout the ships. All staterooms will be enhanced with new curtains, and in some cases, new furniture as well. The Victoria Lianna and Victoria Selina will get an entirely new deck featuring an additional Executive Lounge and à la carte restaurant for Executive Deck passengers (third and fourth decks), as well as an elevator. The new ships were projected to be ready for the beginning of the regular sailing season in mid-March, but now the Selina and Lianna will be delayed for two weeks. Passengers booked on those ships March 16 to 31 will be placed on other five-star ships sailing no more than one day before or after the original departure date. Where necessary, Victoria Cruises will make land arrangements at the cruise line’s expense to prevent changes from impacting the passengers’ connections and overall tour schedule. Beginning in April, Executive Deck passengers on the Victoria Lianna, Selina, Prince and Empress will receive the same enhanced privileges as passengers on the Victoria Jenna, Anna and Katarina. This includes concierge service, enhanced accommodations and ship placement, access to VIP areas, à la carte meal service, private cultural lessons and reserved seating for evening entertainment. In addition to Executive Suites, the Victoria Lianna and Victoria Selina also feature a number of spacious Superior Staterooms on its Executive Decks, which afford guests the same privileges and amenities as Executive Suite passengers. As an American-managed company adhering to the strictest Western standards, Victoria Cruises retained an interior design firm from New York to plan and oversee the renovations. Additional cosmetic alterations for the Victoria Prince and Victoria Empress are currently being considered and tentatively scheduled for next winter so as not to impact the regular cruise season. A number of U.S. tour operators have already blocked significant space on the newly installed Executive Decks of the Victoria Lianna and Victoria Selina, which will feature 101 Superior Staterooms, seven Executive Suites and two Shangri-La Suites with a total passenger capacity of 220 guests. For more information, call 800-348-8084 or visit www.victoriacruises.com.